Recover Photos/Videos/Music from Xiaomi Phone? Home > Resources > Others > Recover Photos/Videos/Music from Xiaomi Phone? Since Xiaomi phones are equipped with Android operating systems, these devices will allow the user to access the internet, collect contact information, and a perform a huge amount of useful activities. If you are using a Xiaomi or Redmi phone, I guess you must have been facing the data loss problem in the Android phone. 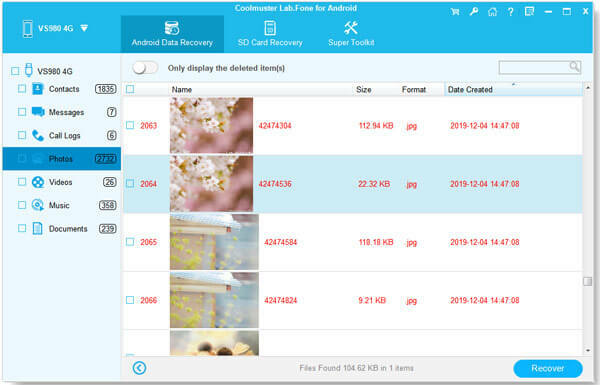 If your precious media files are deleted from the phone, is it possible to recover them back? The answer is YES! Thanks to Coolmuster Xiaomi Data Recovery, you do not need to worry about data loss problem any more. Deleted, lost and formatted photos, videos and music files can be restored by the program with one click. 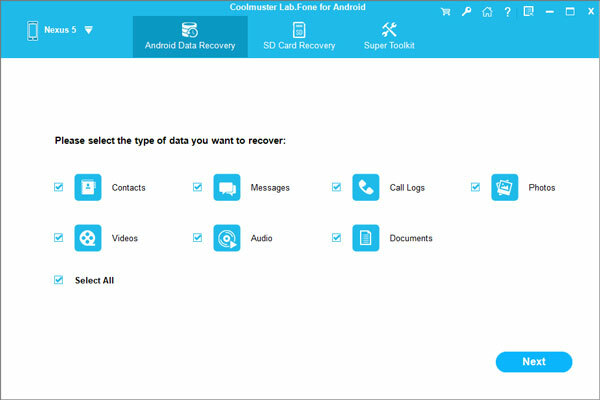 Apart from that, Xiaomi media recovery software can also recover contacts, call logs, text messages and other documents from overall Android mobile devices. Now, you must stop using your Xiaomi phone once you recognize data loss. Then, click the following button to download the Xiaomi Media Recovery software on your PC or Mac computer. How to Retrieve Deleted Photos/Videos from Xiaomi/Redmi? To start with, launch the Xiaomi Media Recovery software on your computer. Connect your Xiaomi Android phone to the computer with a USB cable. The program detects the connected phone and shows it in interface. It is time you choose file types to scan. Just choose "Videos", "Music" and "Photos" categories from the left and then the program starts to scan the Xiaomi phone for all the lost media files. Preview and select the videos, songs and photos you want back. Then hit on the "Recover" button from the bottom right and specify an output location to save the recovered media files. After a short recovery time, all the selected media files will be recovered and saved to the output folder.